Pelicans star Anthony Davis made it clear he wasn't happy with the Pelicans' performance after New Orleans fell 118-88 to the Magic on Tuesday in one of the team's worst games of the season. Davis, who played 24 minutes and finished with three points, six rebounds and three blocks while shooting 1 of 9 from the field, simply said the Magic "came out ready to play." Davis had been sidelined for nine games due to fracturing his finger in January, but returned in a restricted role last week. The 25-year-old forward's long-term future with the Pelicans came into question recently as Davis requested a trade in January and there was speculation he would be moved before the trade deadline last week, however, he remains with the team. 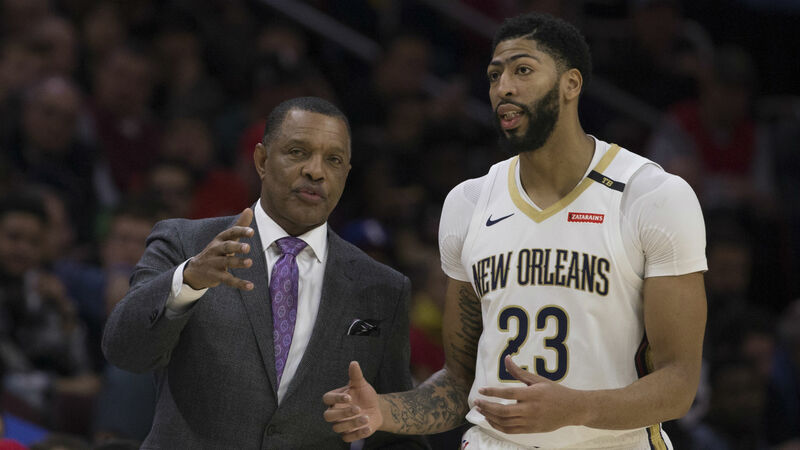 While Davis admitted last week he didn't think he would play with the Pelicans again following his trade request, coach Alvin Gentry blatantly said he's ready to move on from the topic. “We’ve been talking about it now for three weeks,” Gentry said, per NOLA.com. “It doesn’t matter. What we need to do is bury it. We need to bury it and get through the season and then whatever happens after that, happens after that. We have to get to the point where we’re not bringing this up every time I step in front of the cameras. Davis, a six-time All-Star, is averaging 28.5 points on 50.8 percent shooting from the field with 13.1 rebounds and 4.3 assists through 44 games this season.